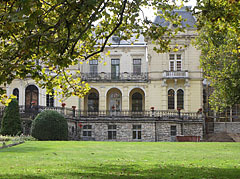 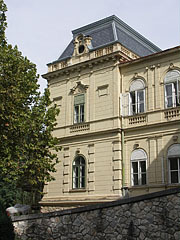 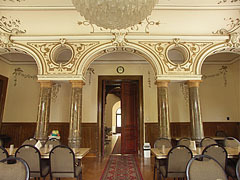 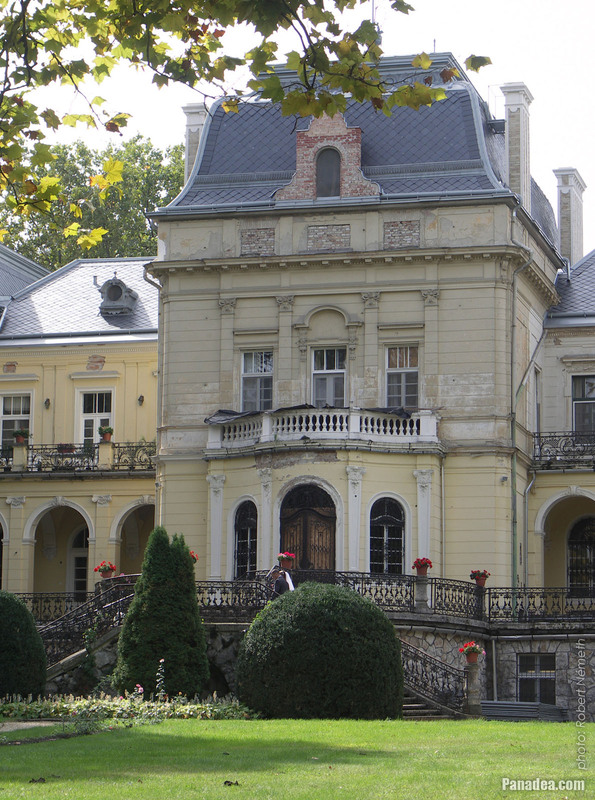 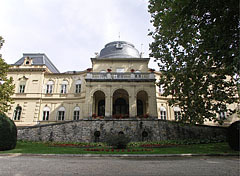 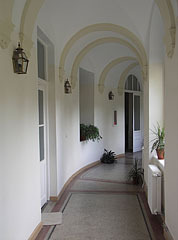 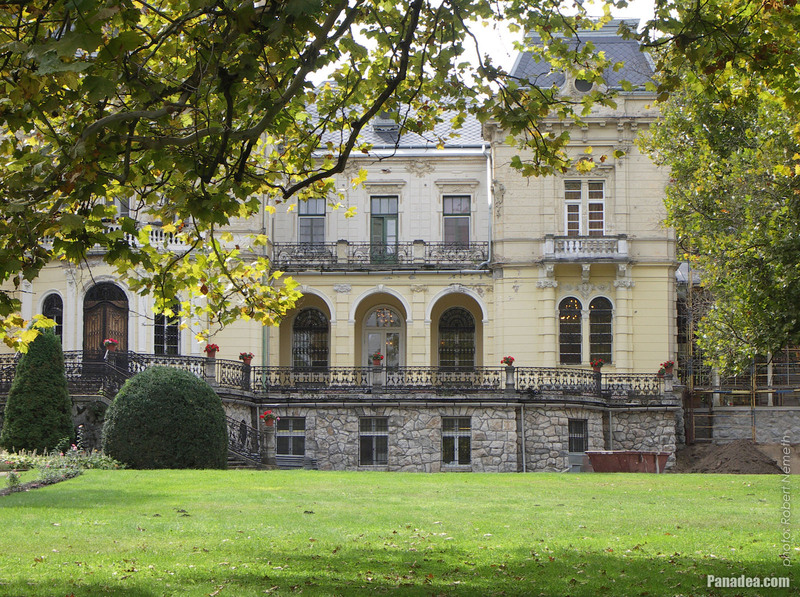 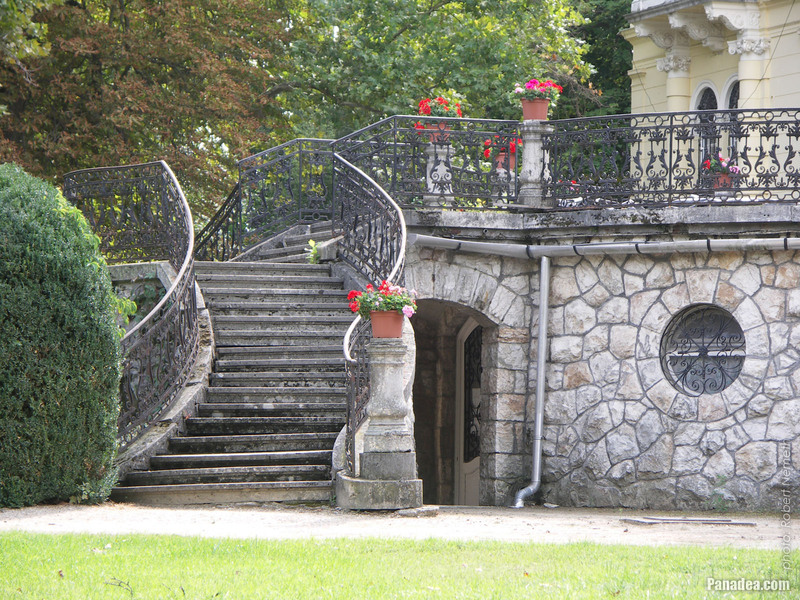 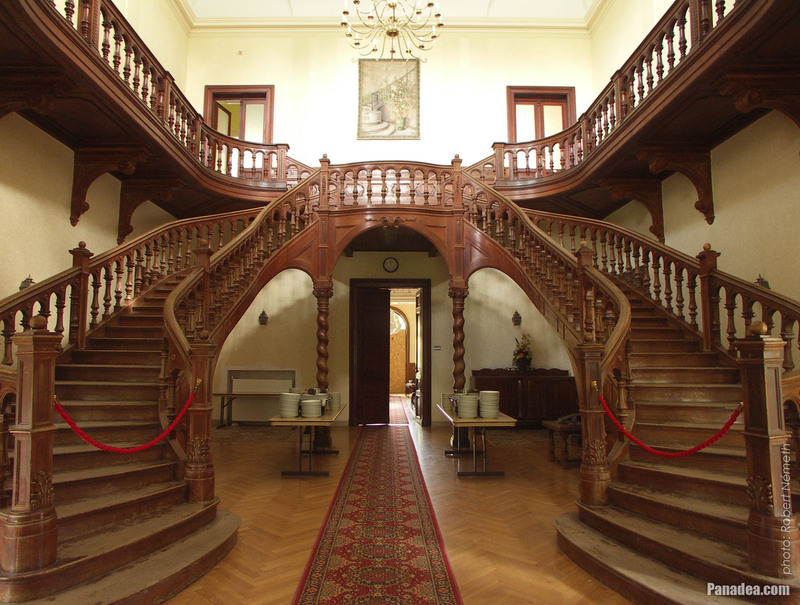 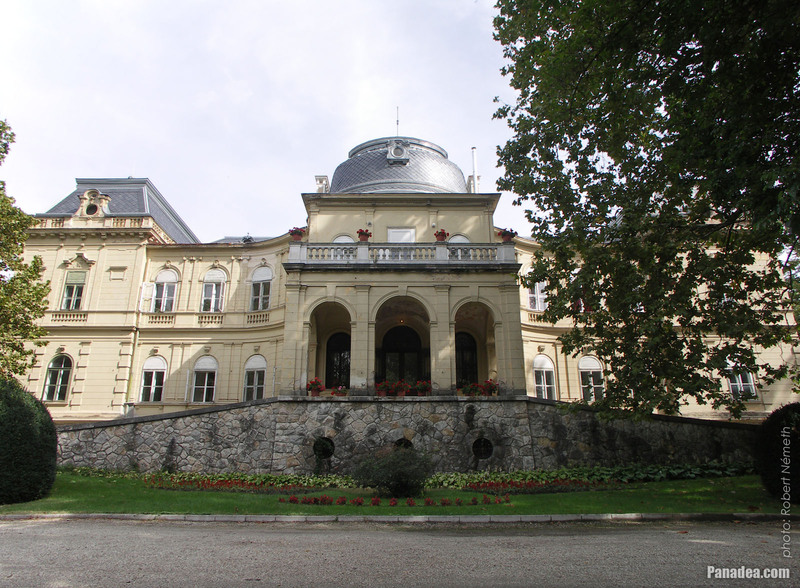 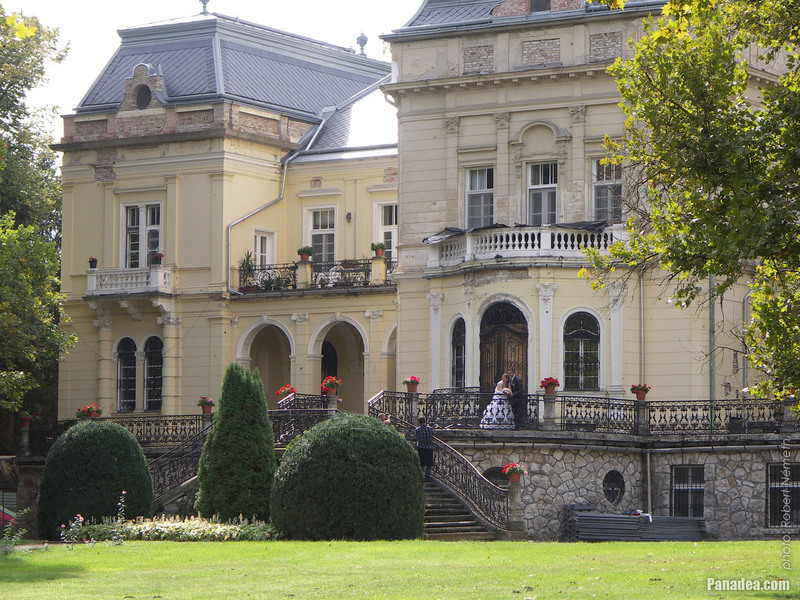 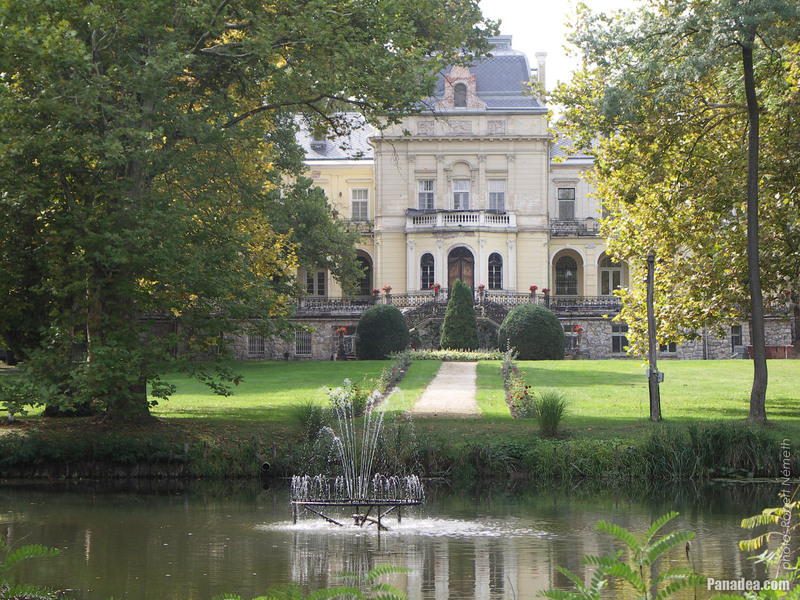 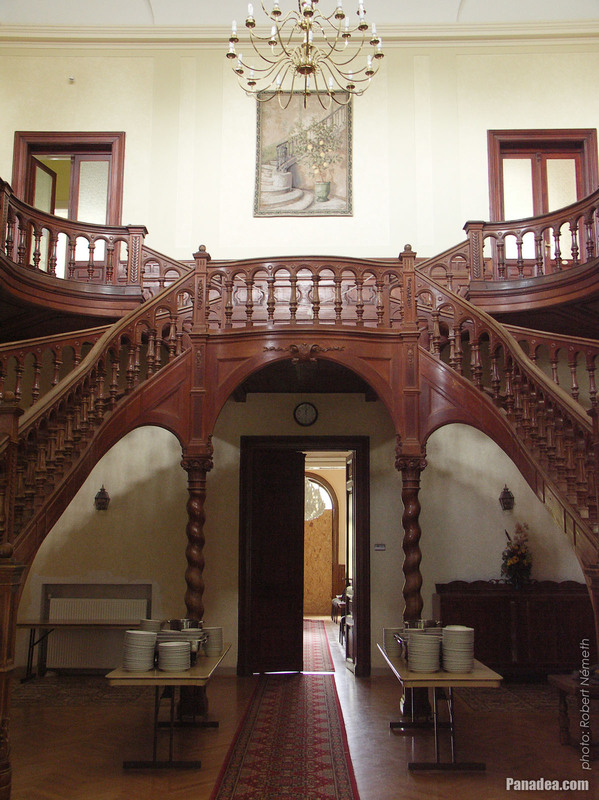 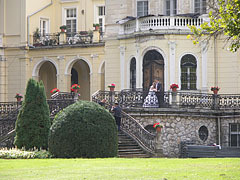 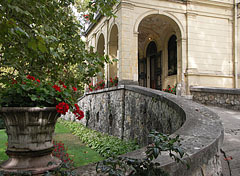 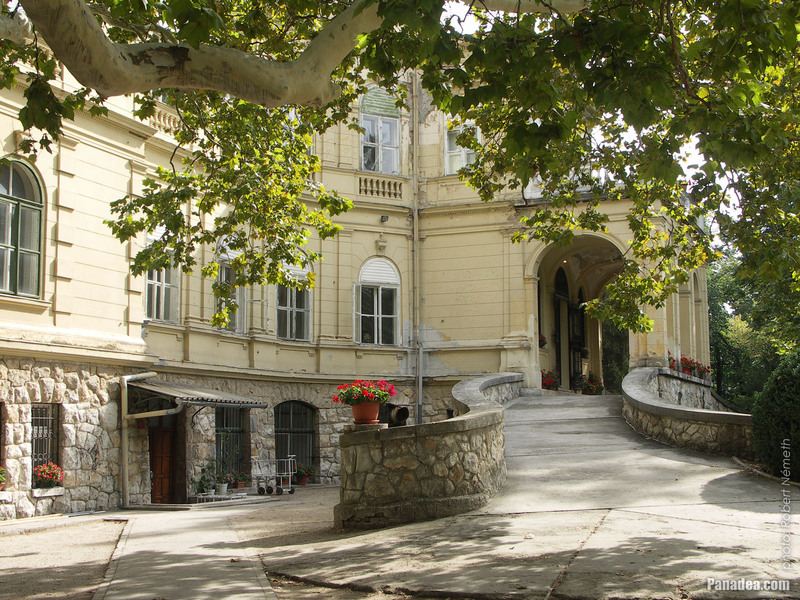 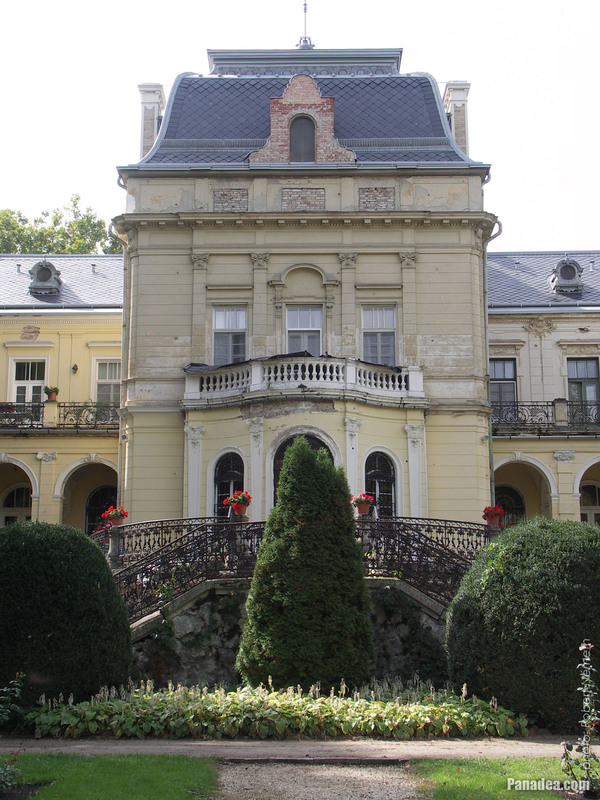 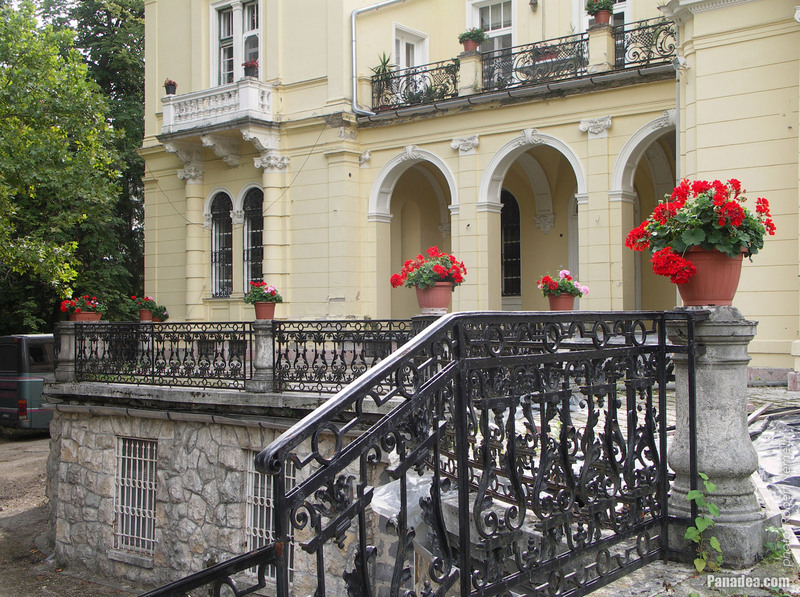 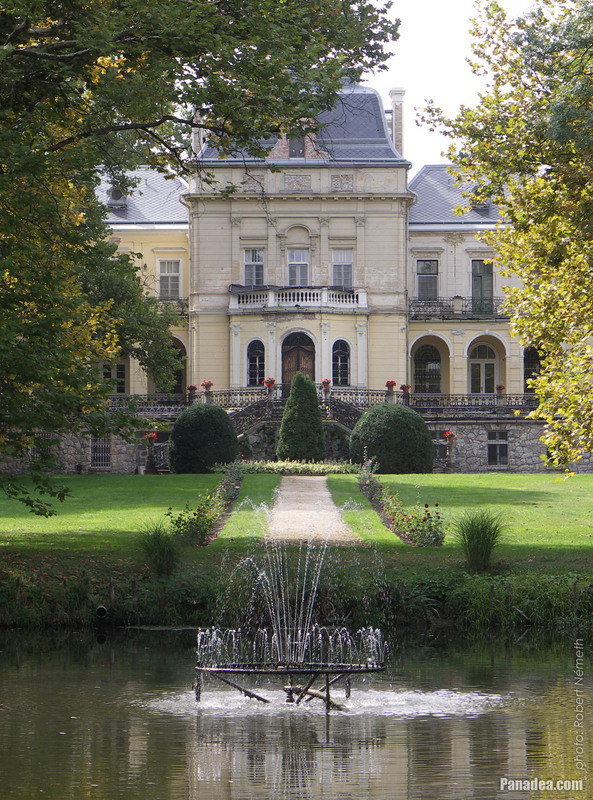 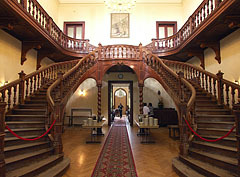 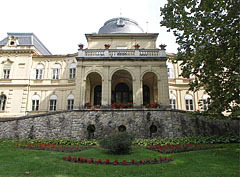 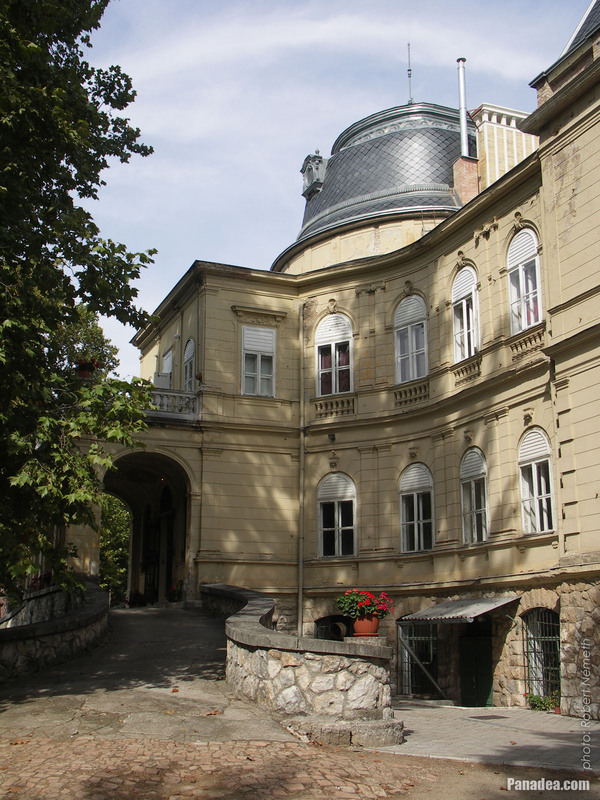 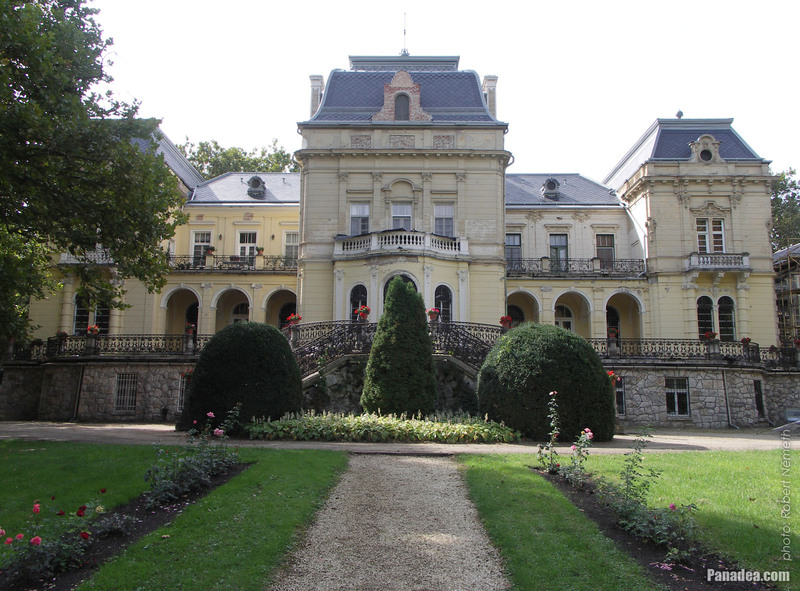 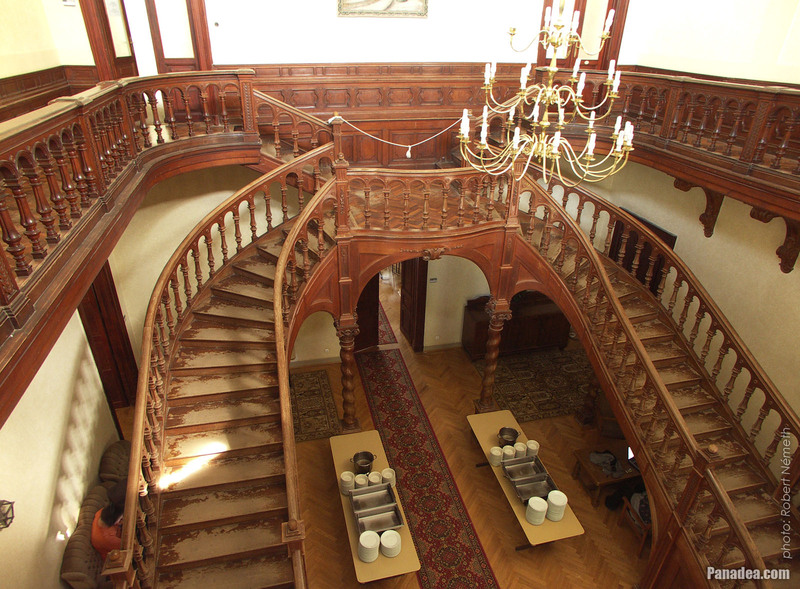 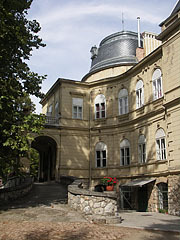 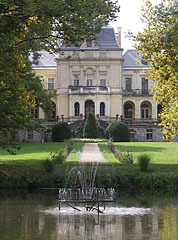 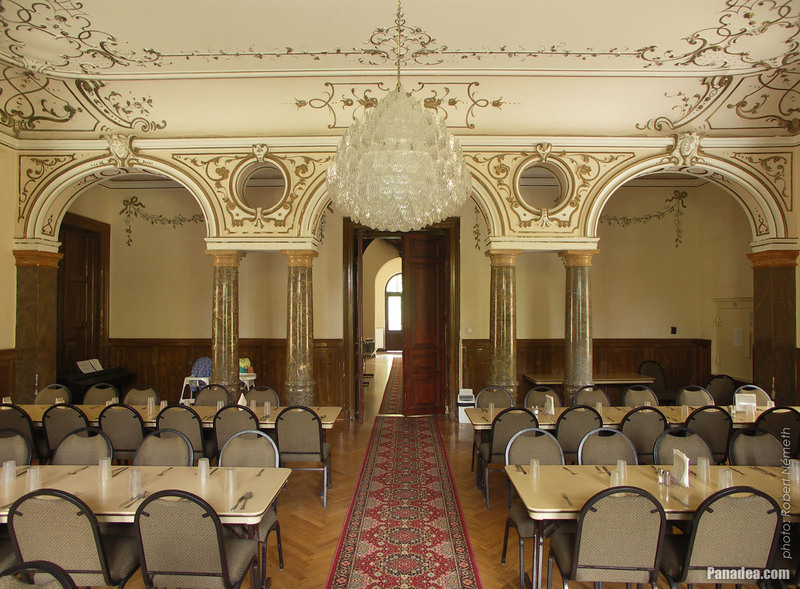 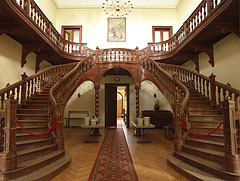 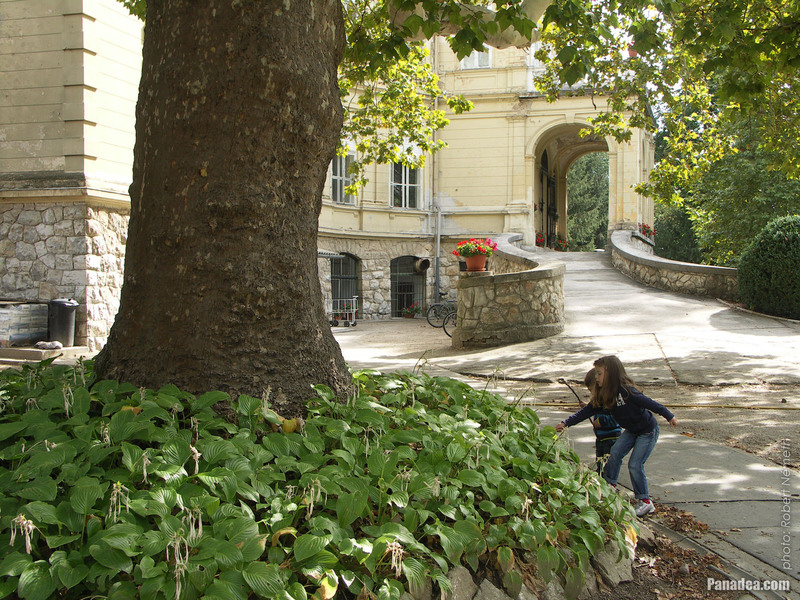 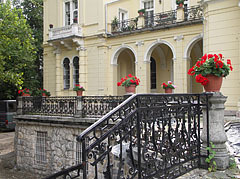 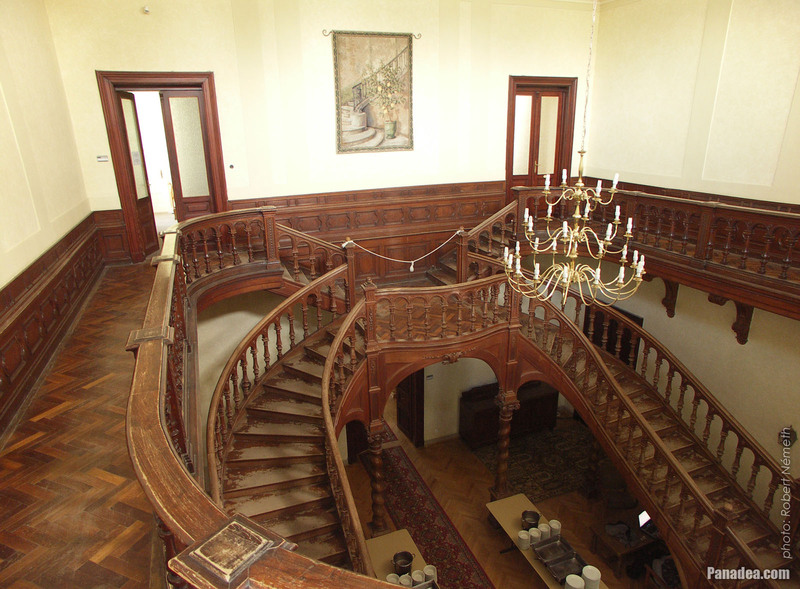 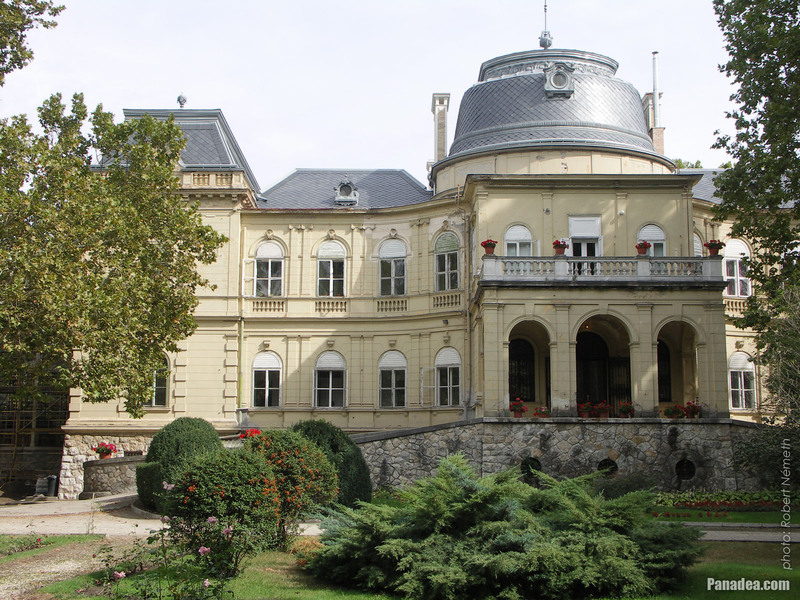 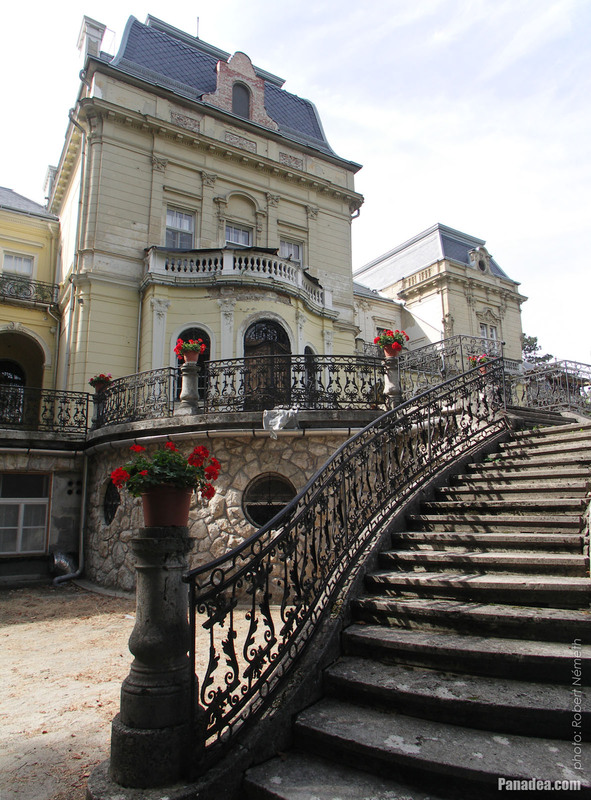 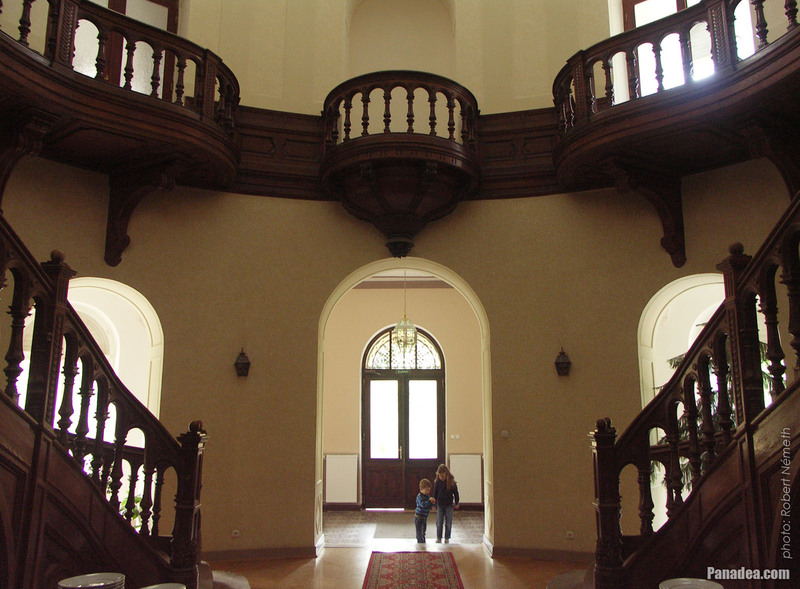 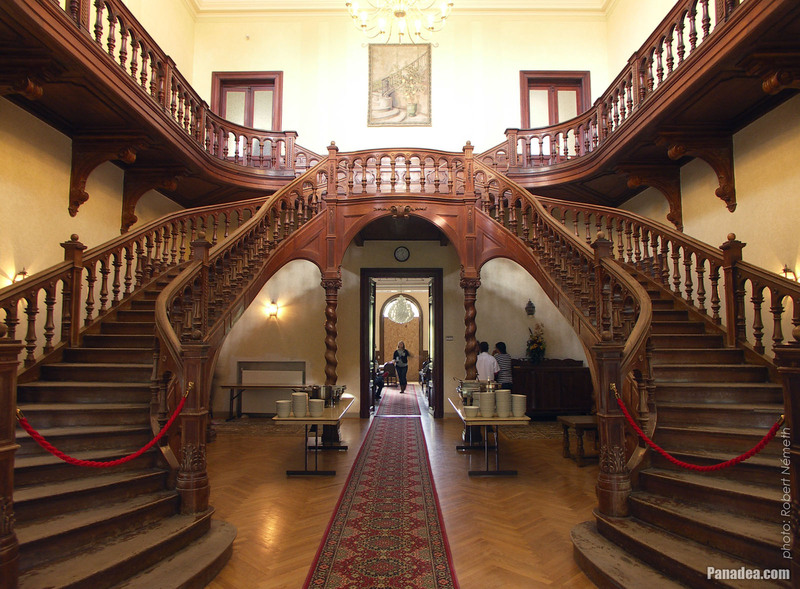 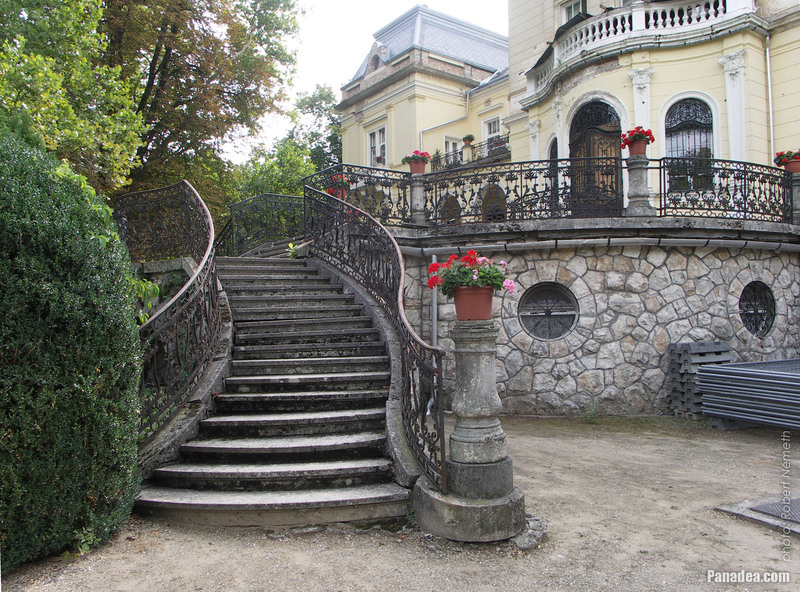 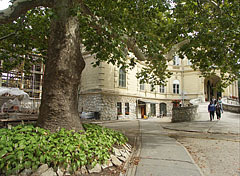 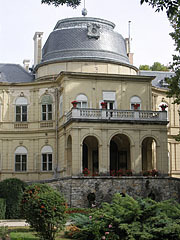 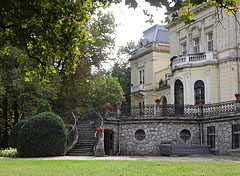 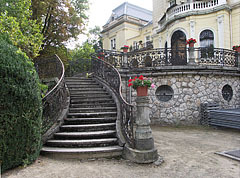 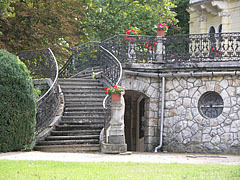 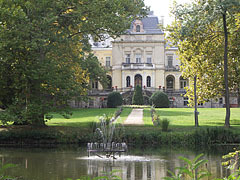 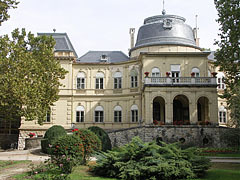 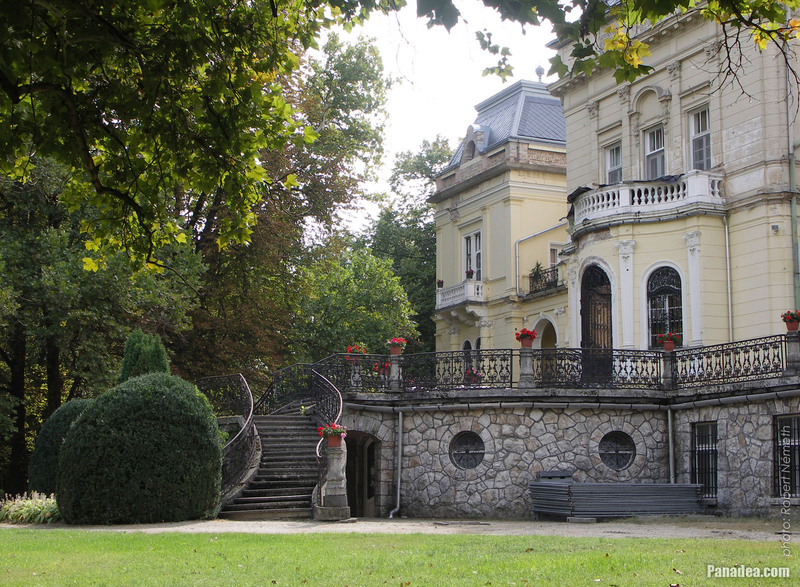 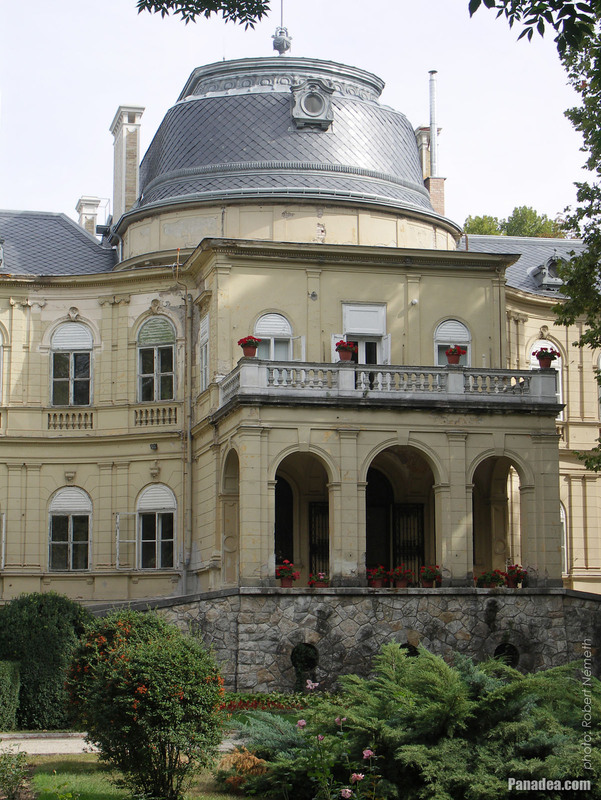 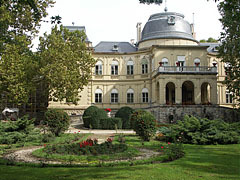 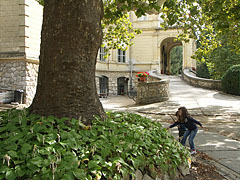 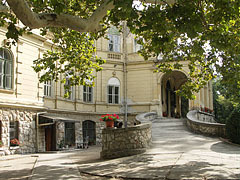 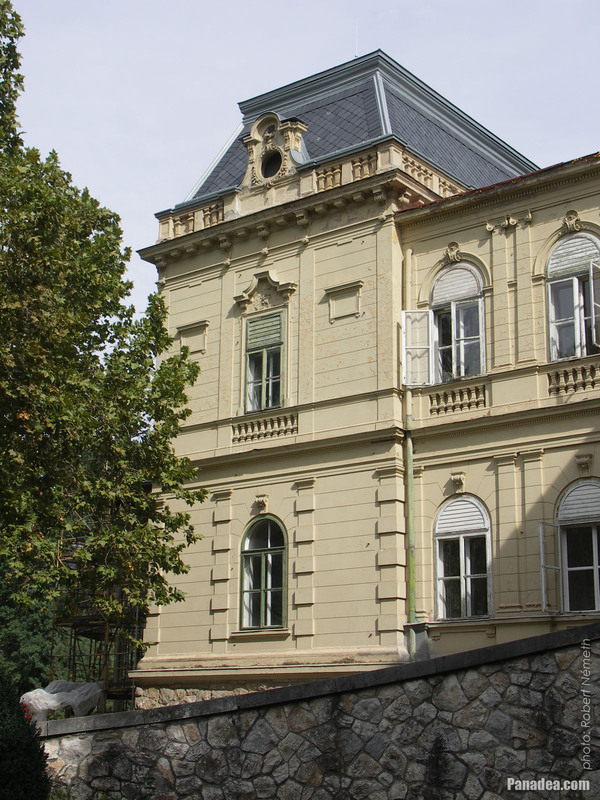 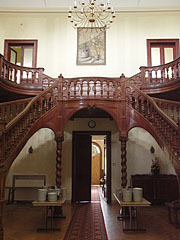 The mansion was built for Mrs. Endréné Beretvás (born as Renáta Wahrmann) in 1894-1895, for the 1000th anniversary of the Hungarian Conquest of the Carpathian Basin (896). 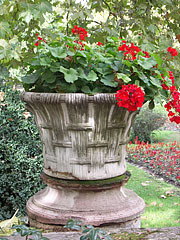 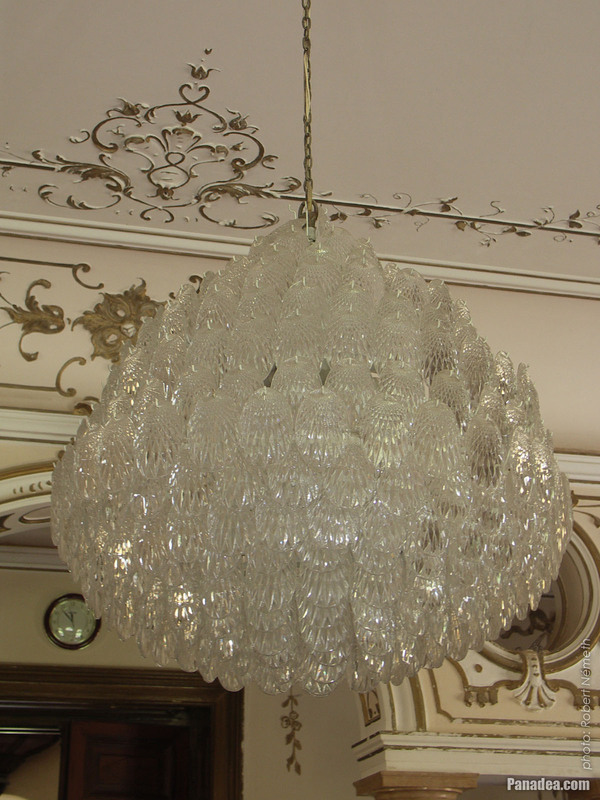 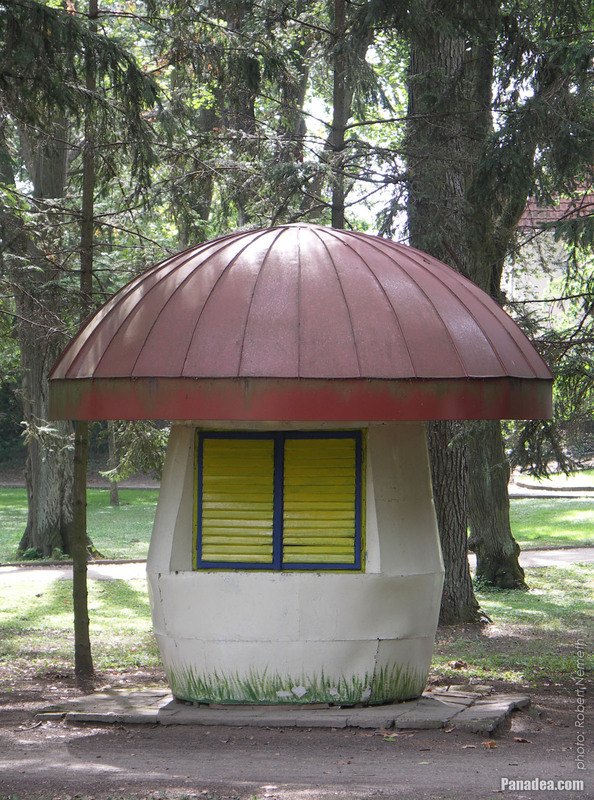 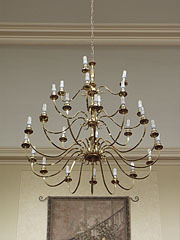 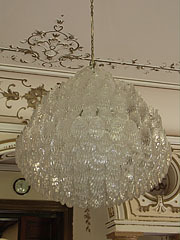 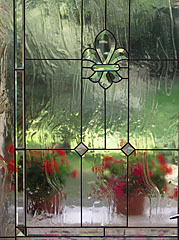 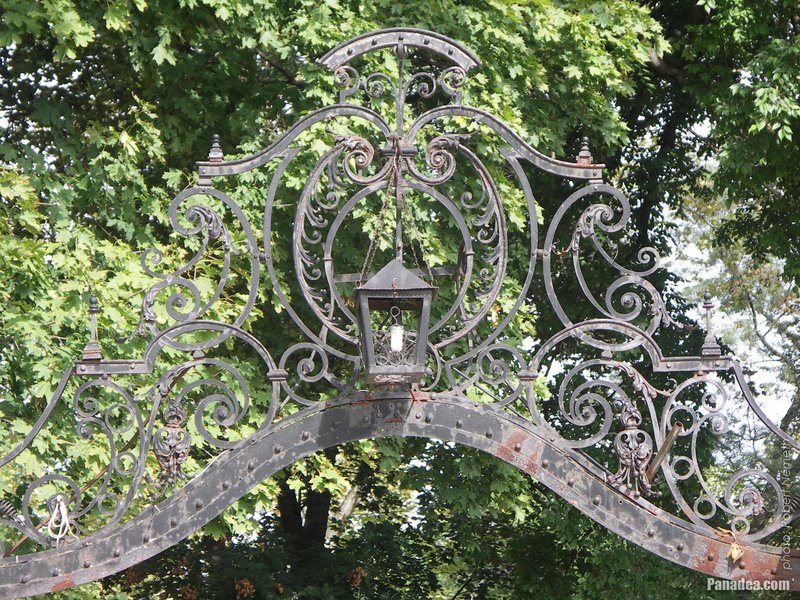 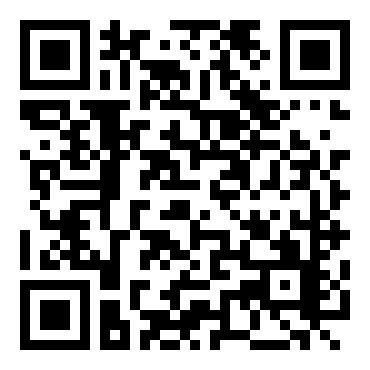 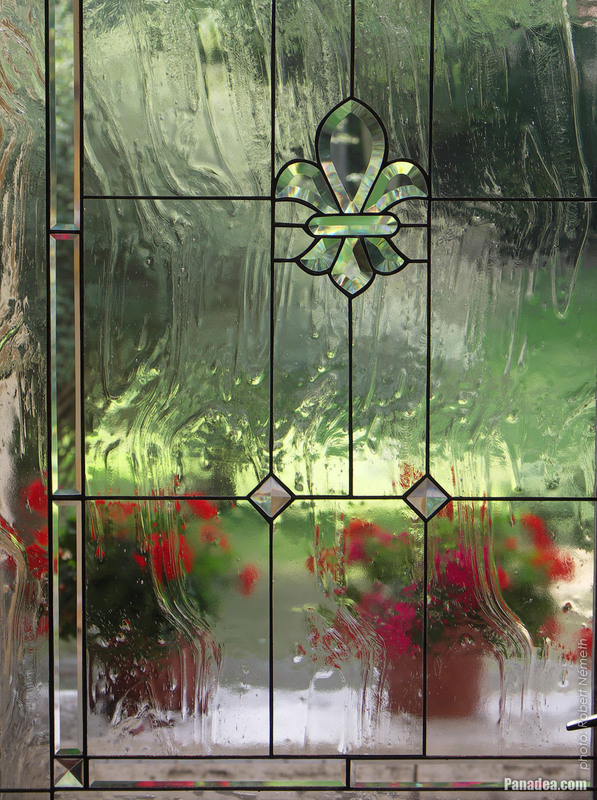 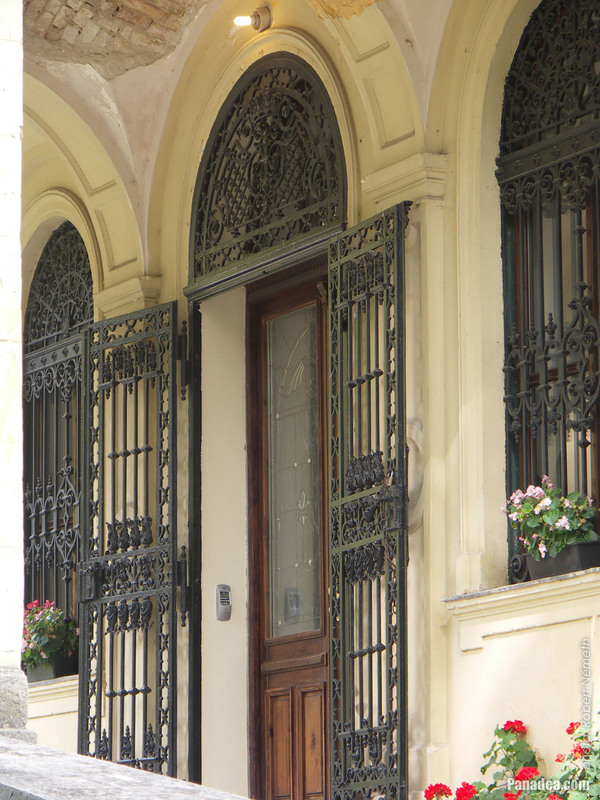 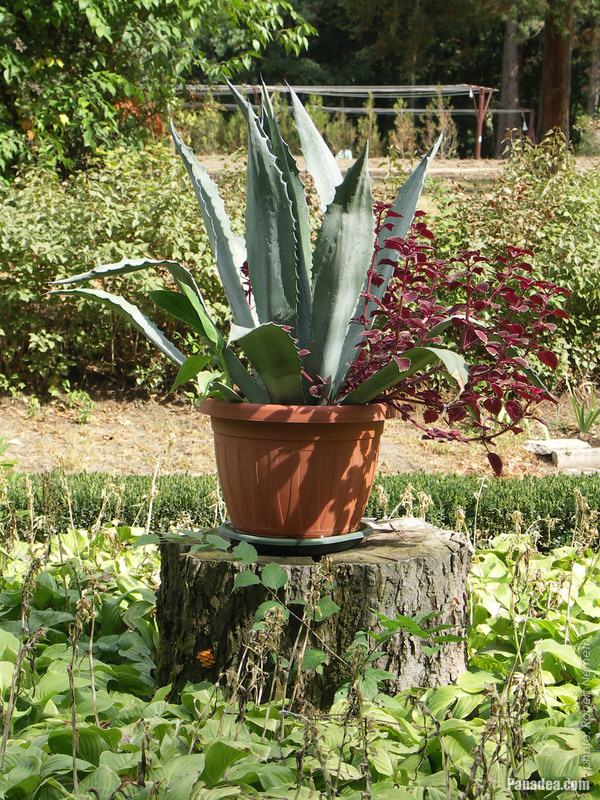 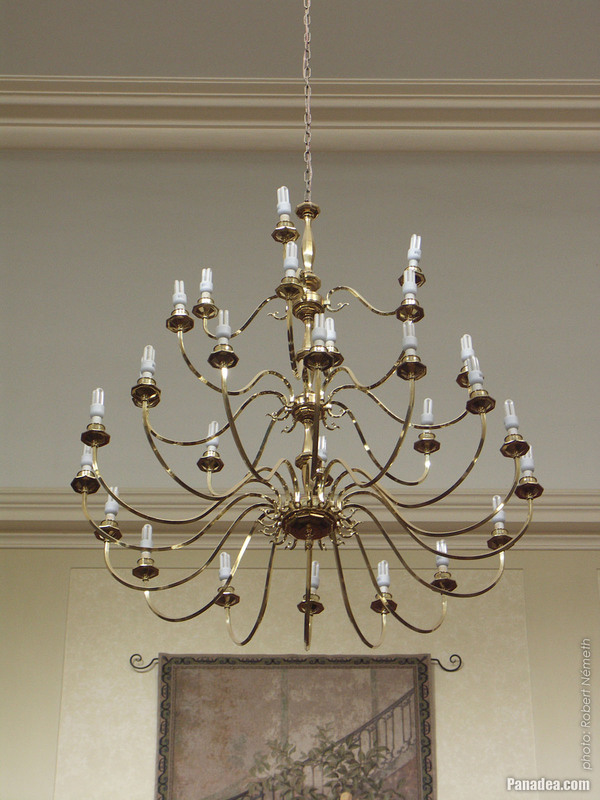 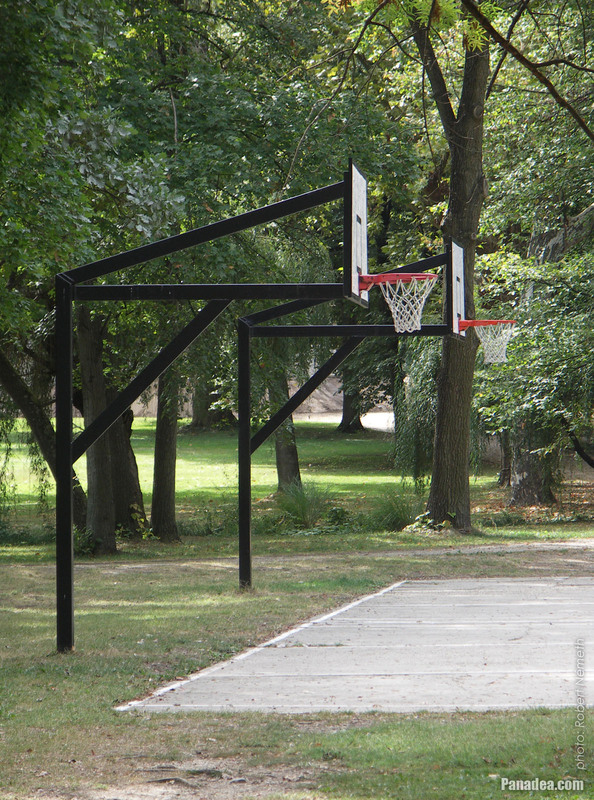 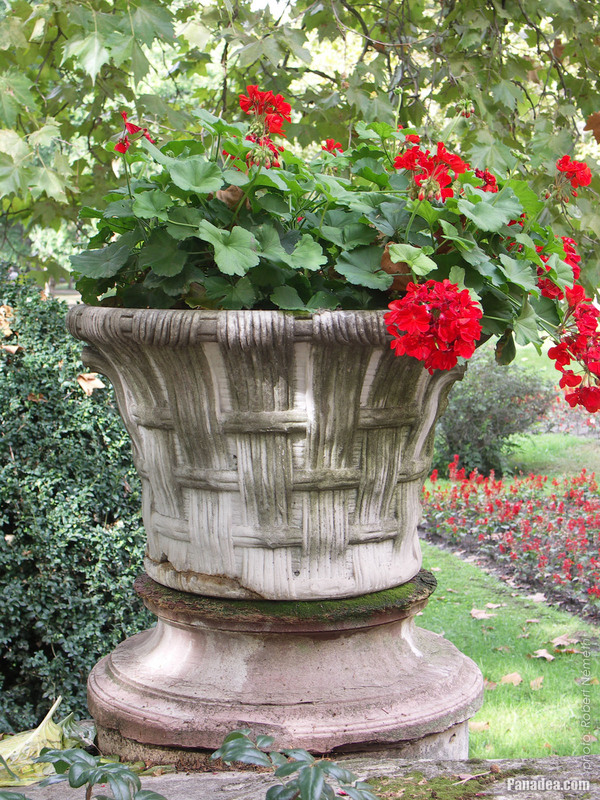 It was designed by Lajos Ybl, the nephew of the famous Hungarian architect Miklós Ybl. 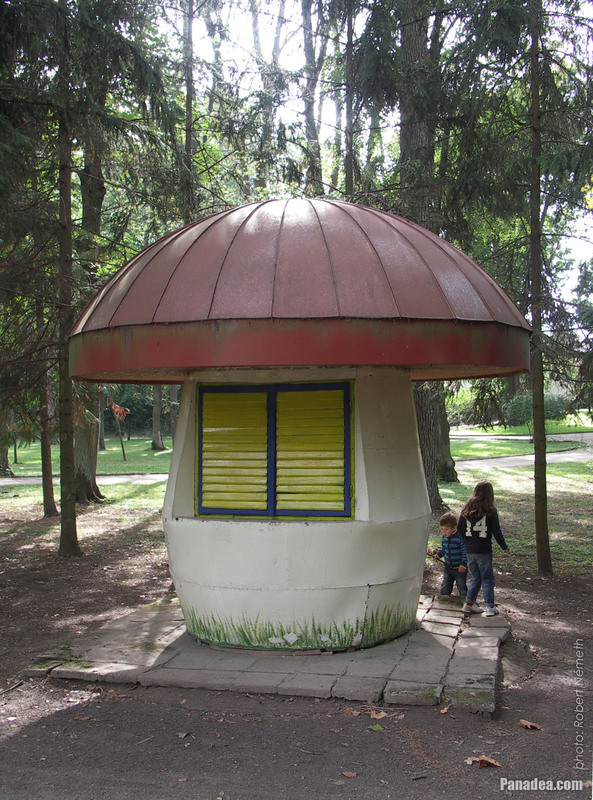 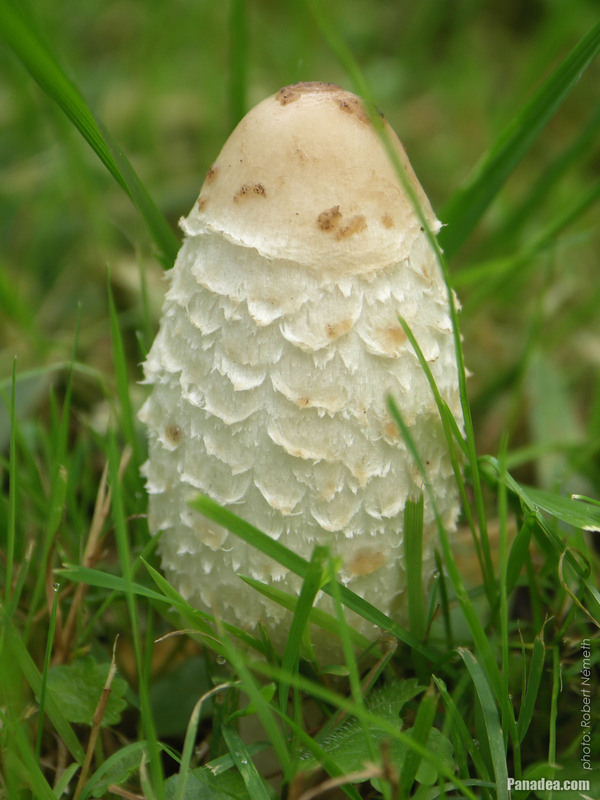 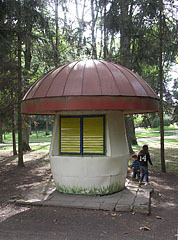 By the way, this is an edible mushroom species. 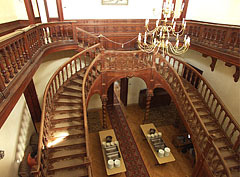 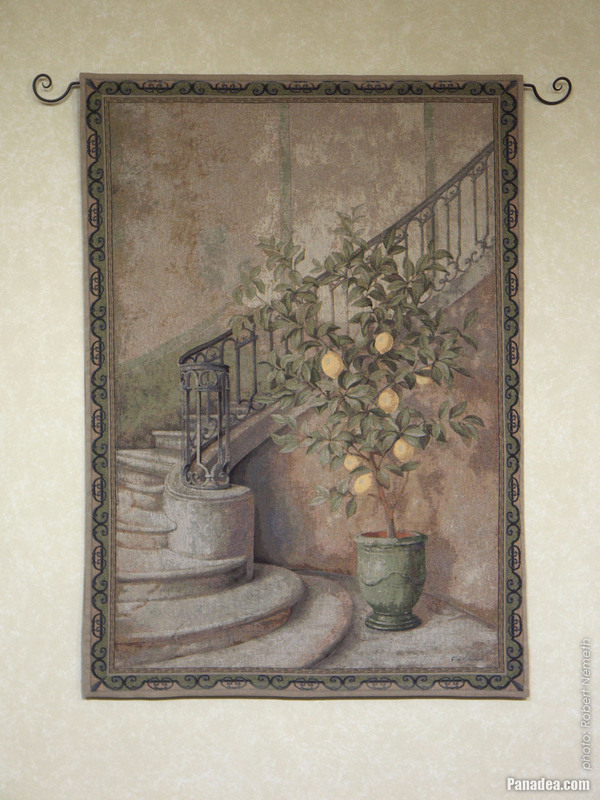 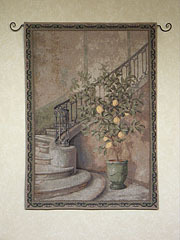 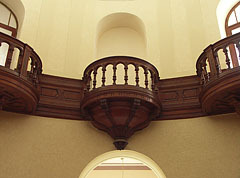 This staircase was inspired by the grand staircase of the Paris Opera. 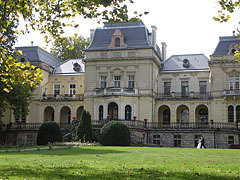 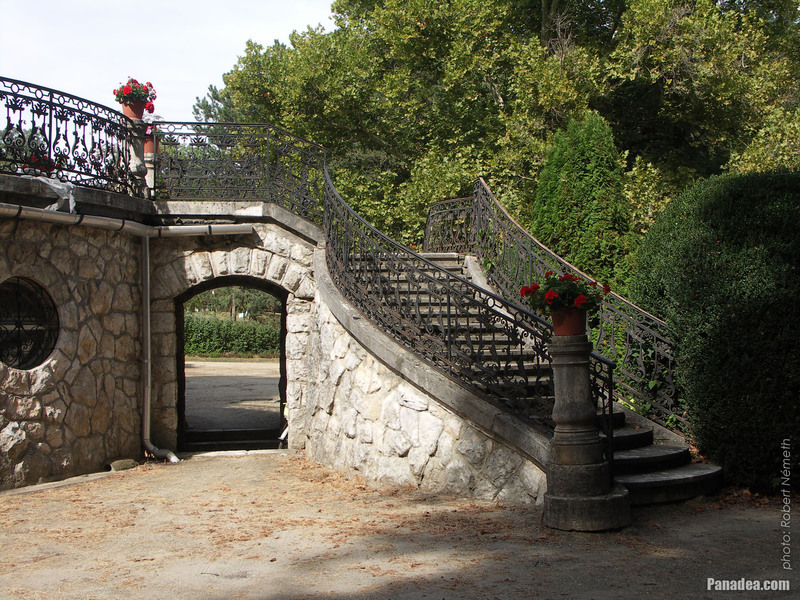 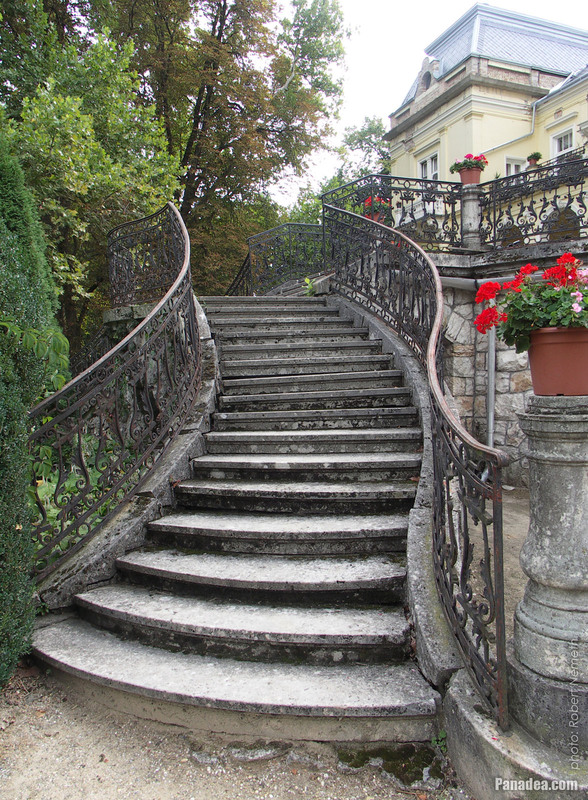 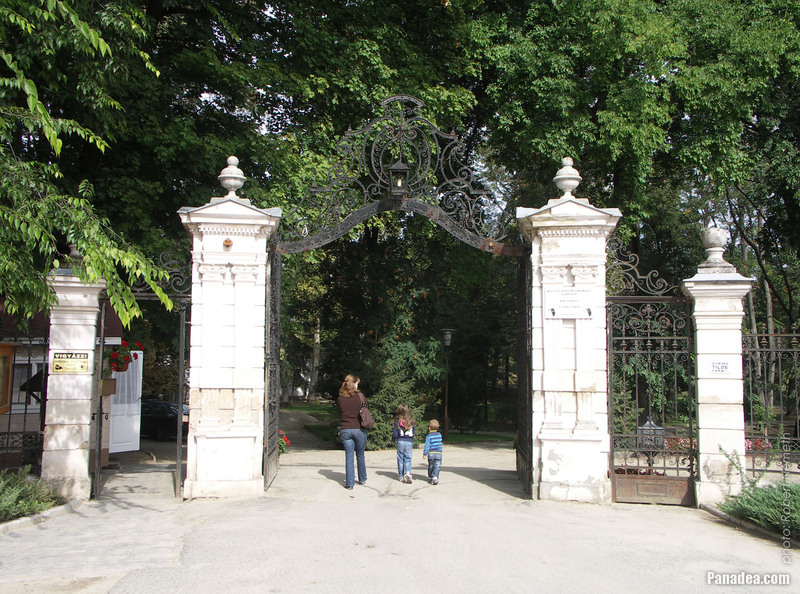 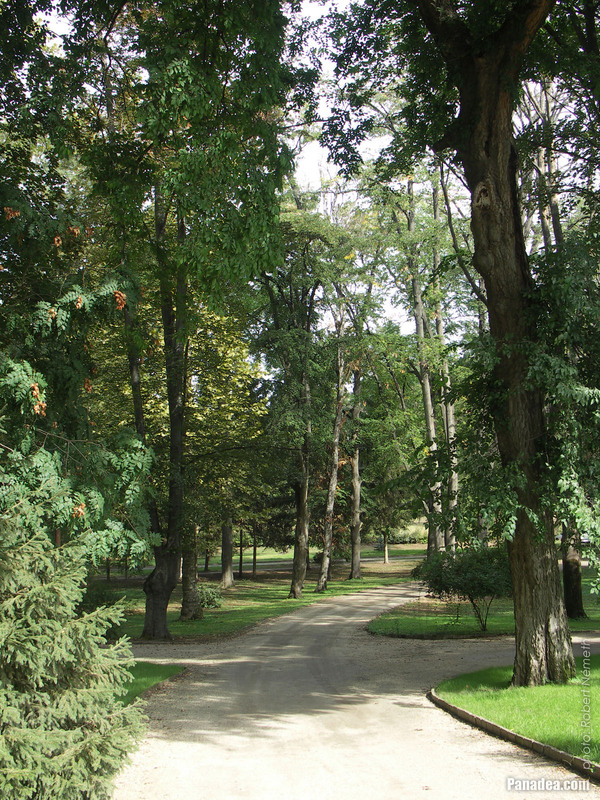 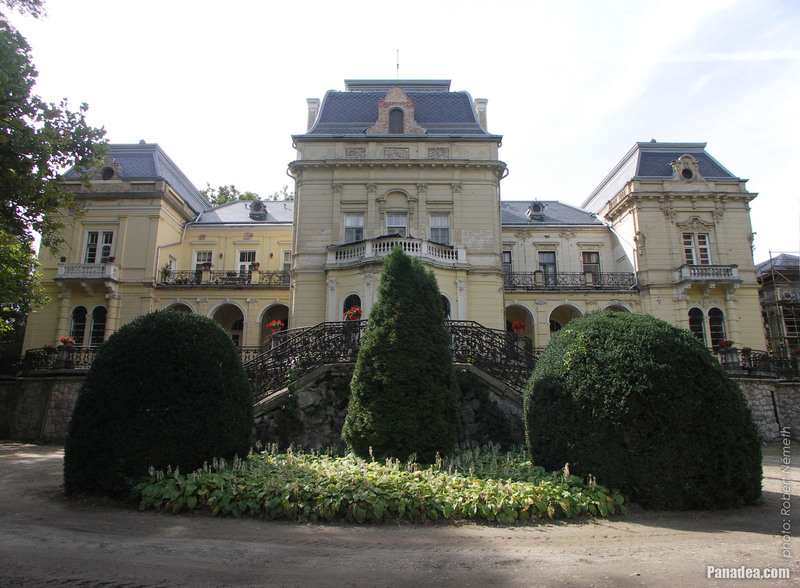 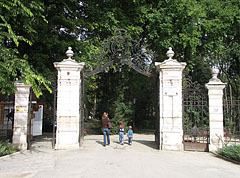 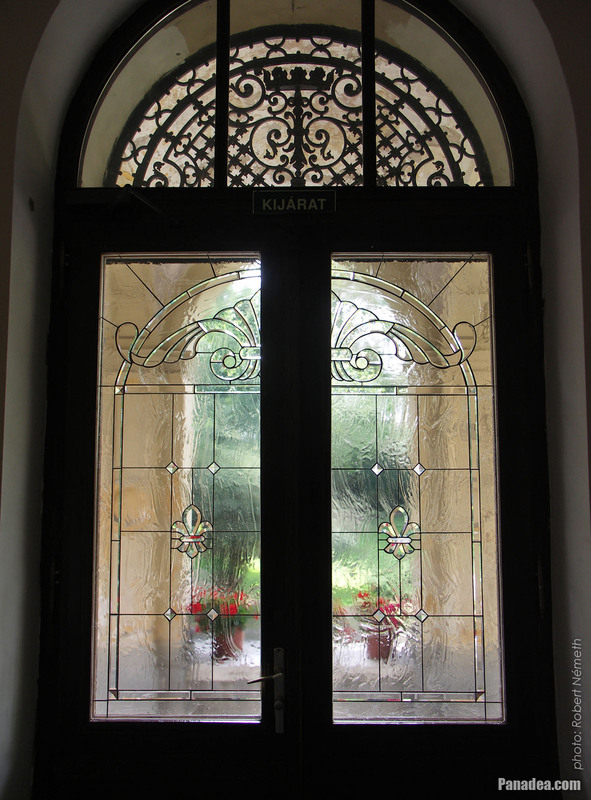 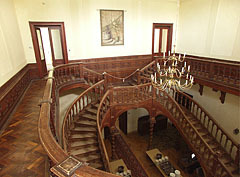 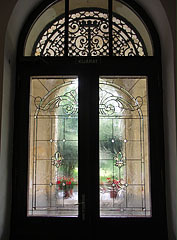 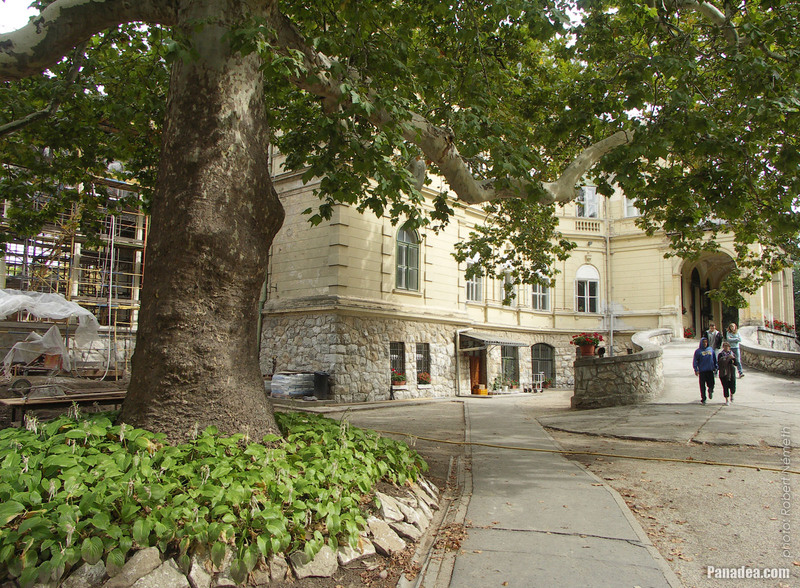 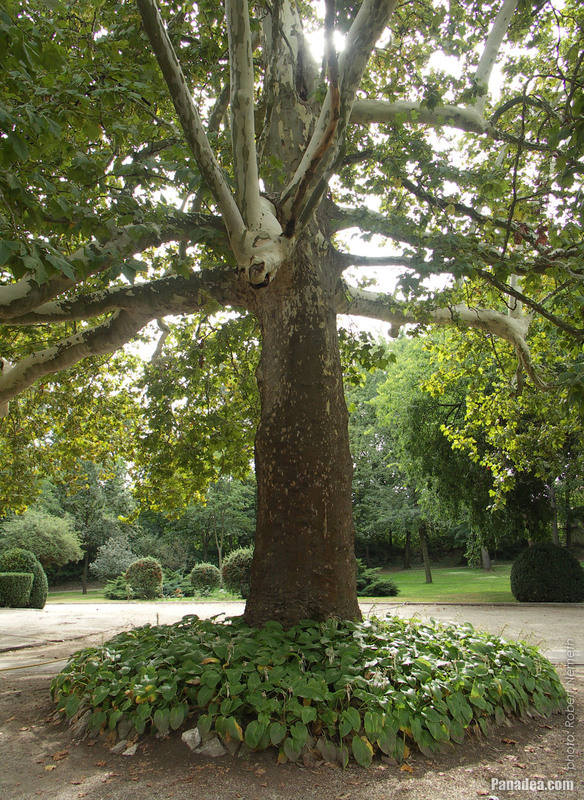 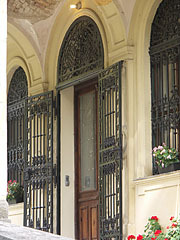 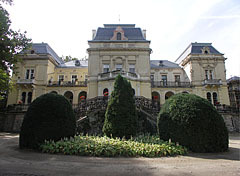 The Andrássy family could own the mansion "only" until the World War II, then it was deprivatised and the furnitures were stolen. 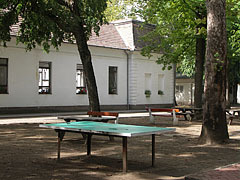 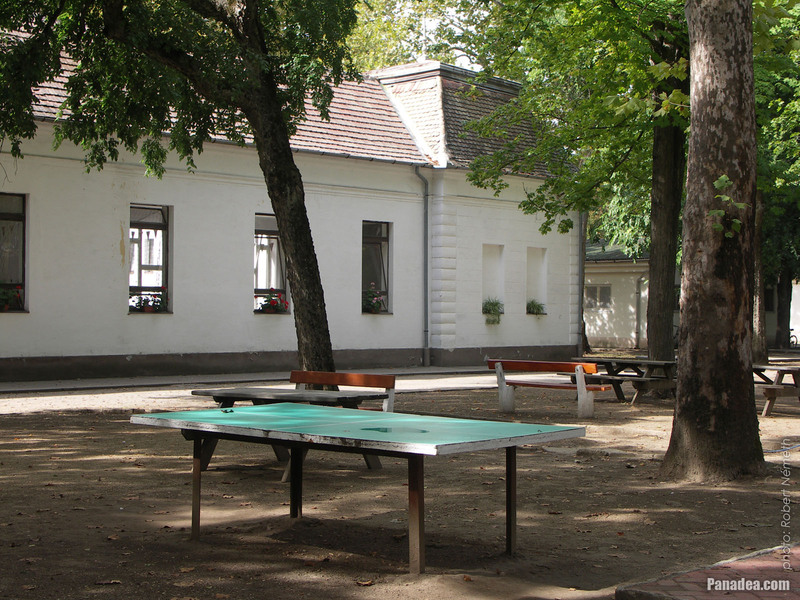 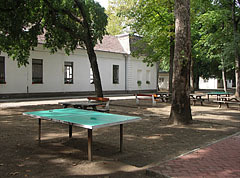 Later the building and the estate became a children's resort of the trade union (or labor union, with Hungarian abbreviation "SZOT"). 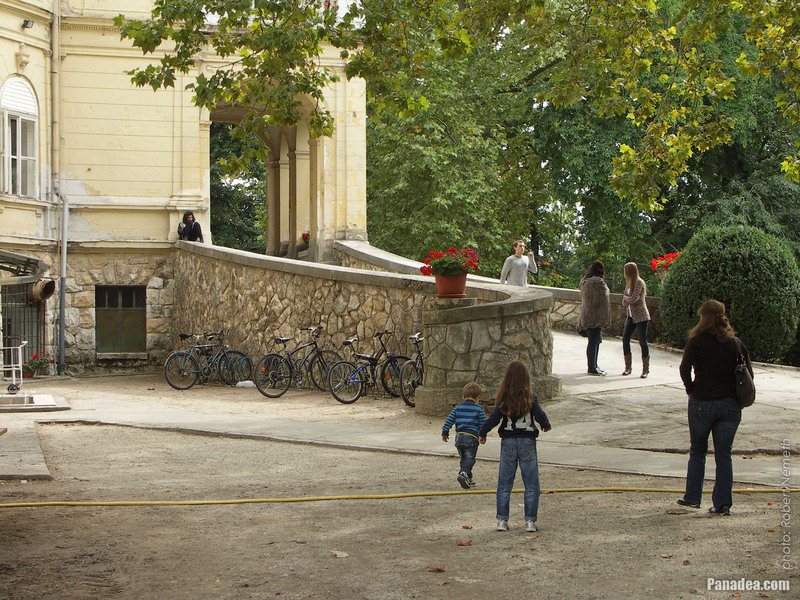 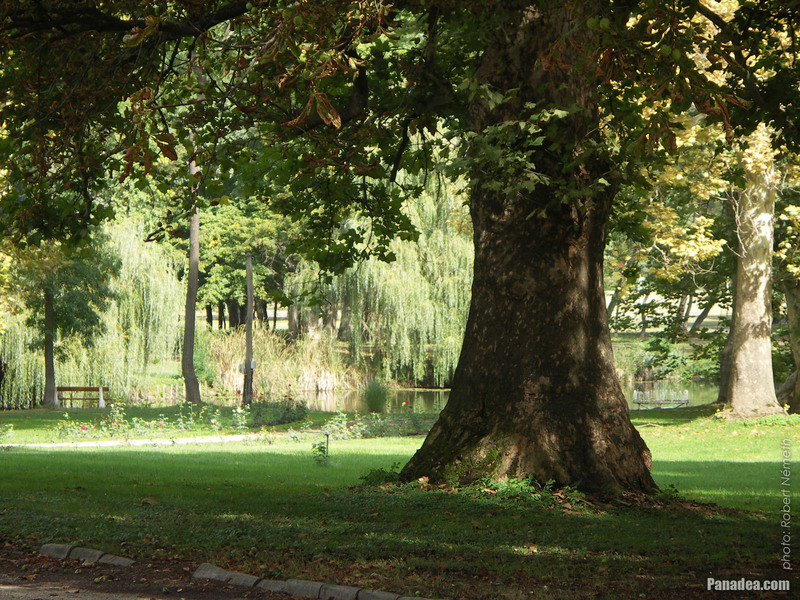 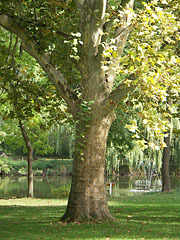 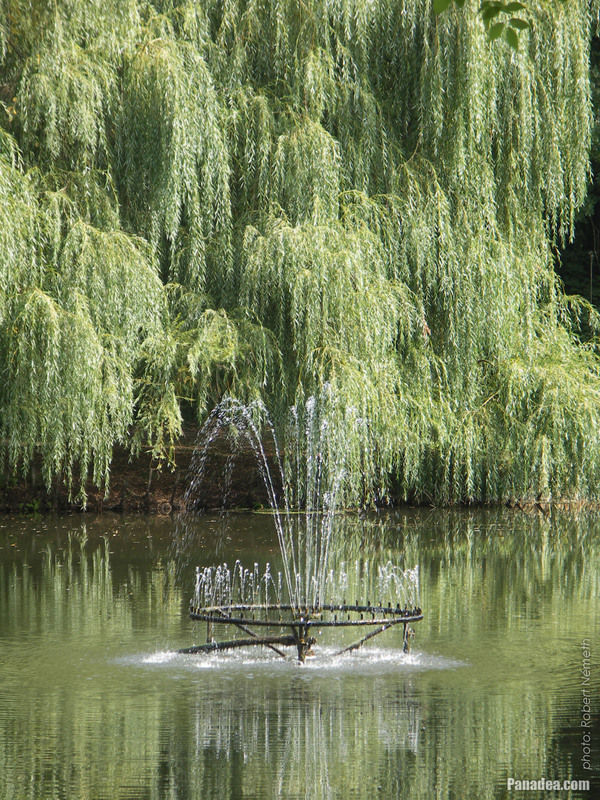 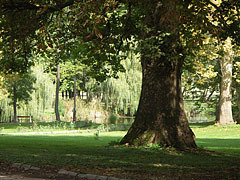 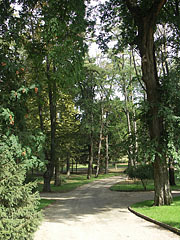 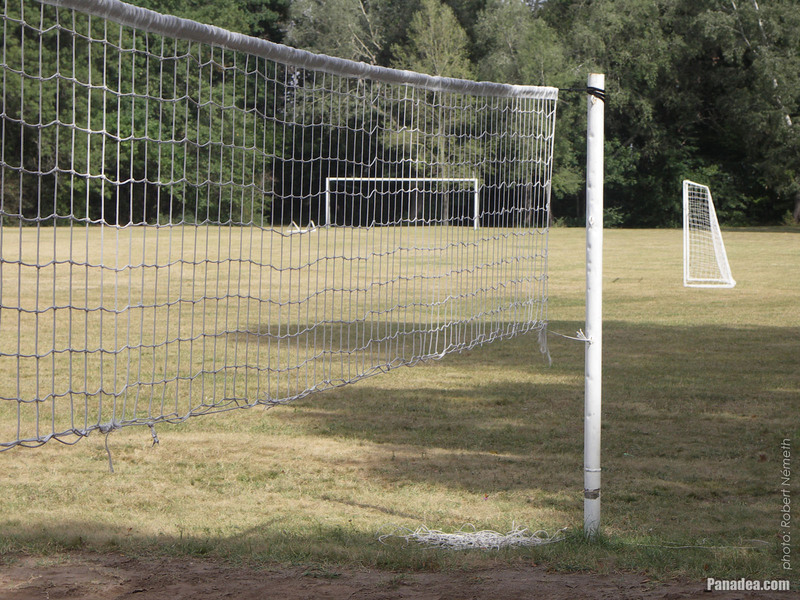 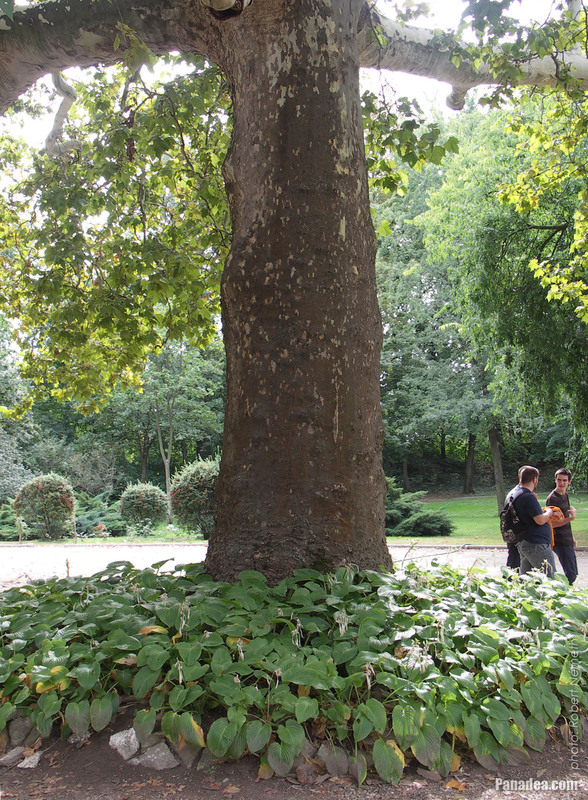 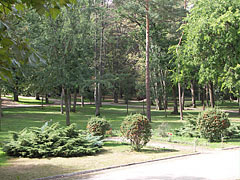 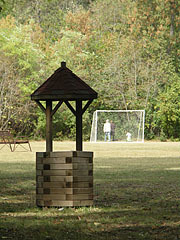 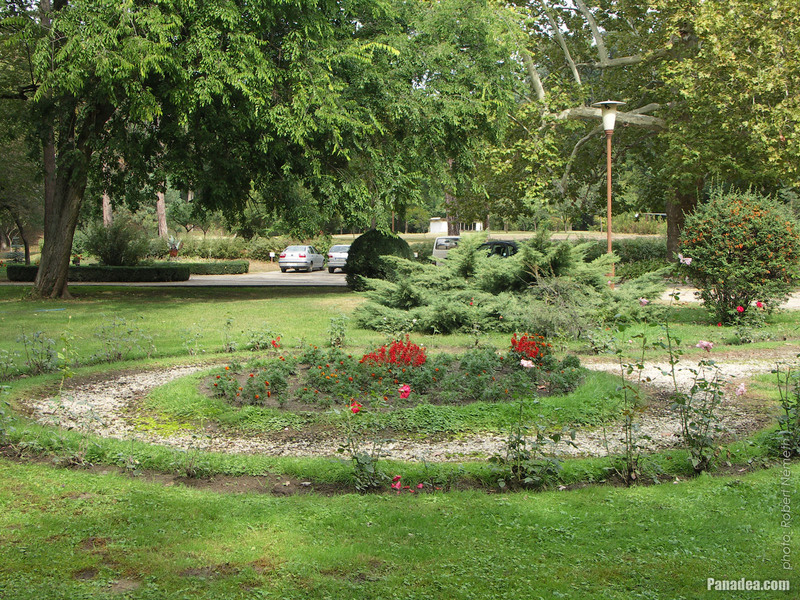 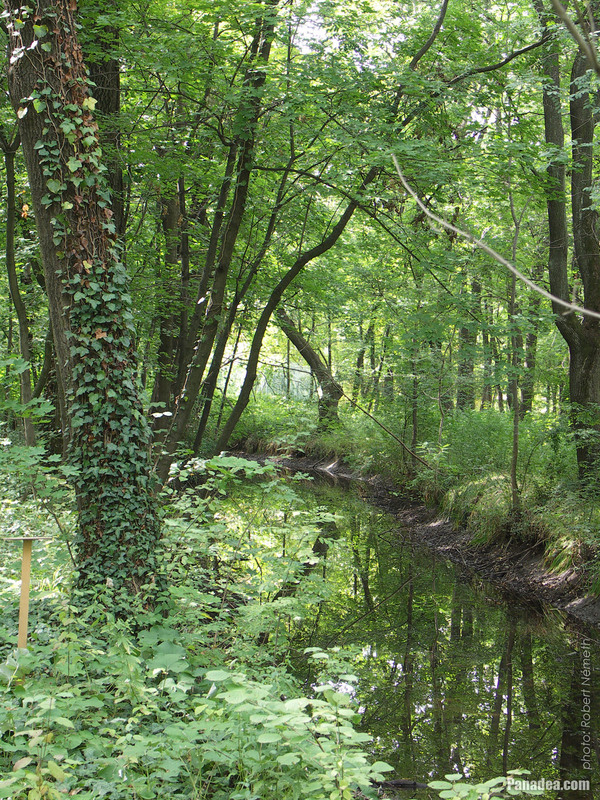 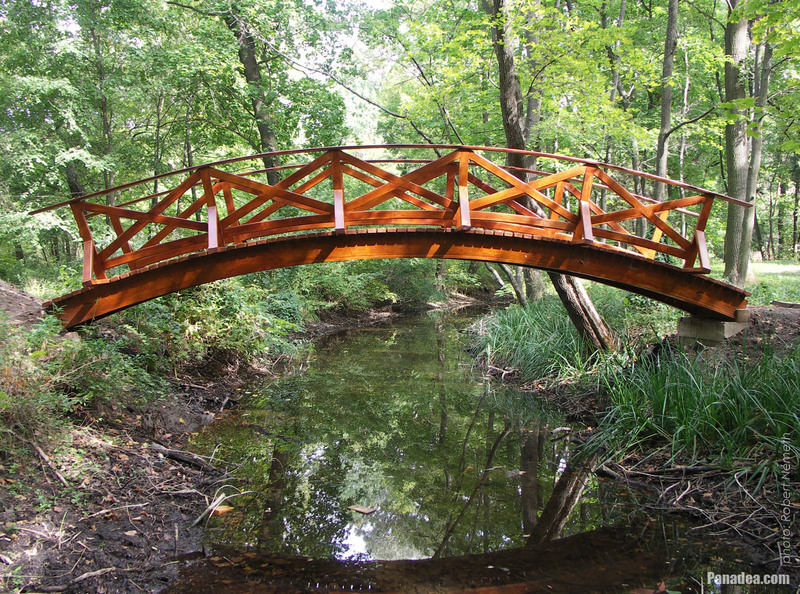 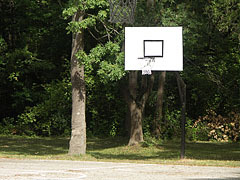 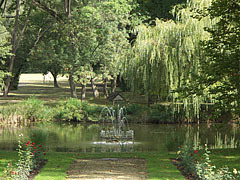 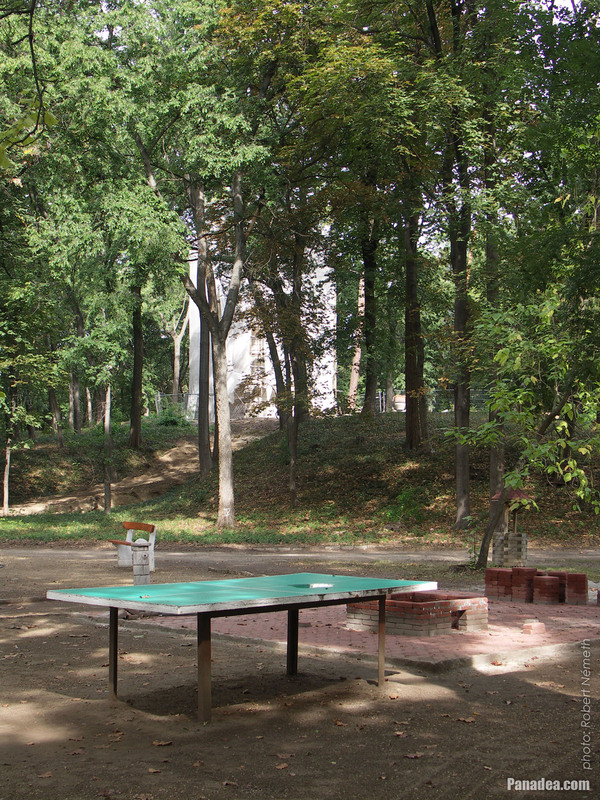 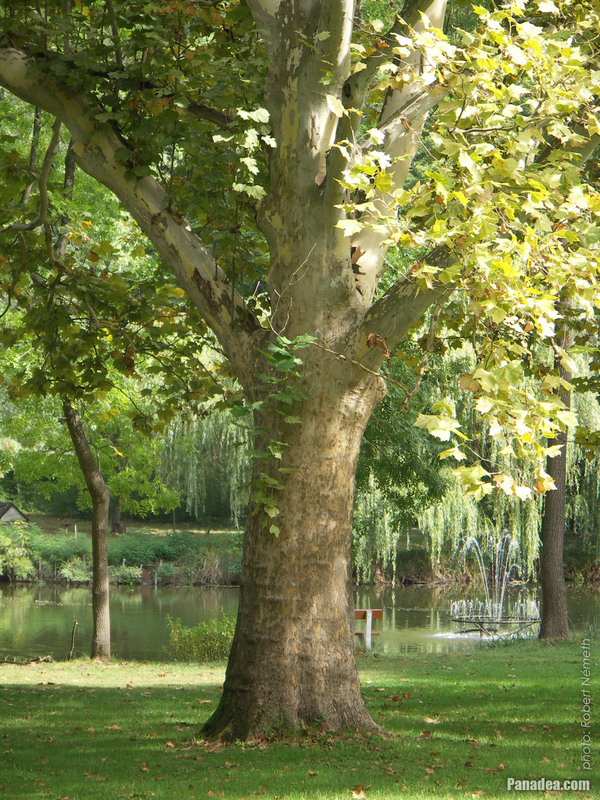 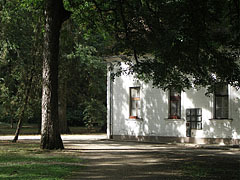 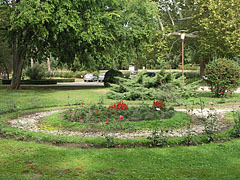 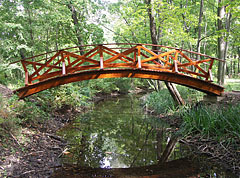 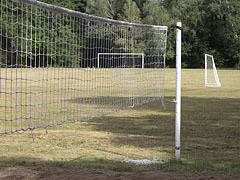 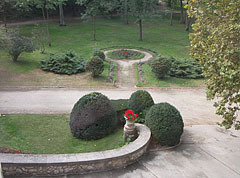 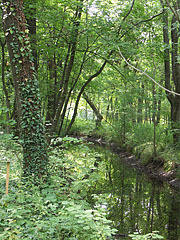 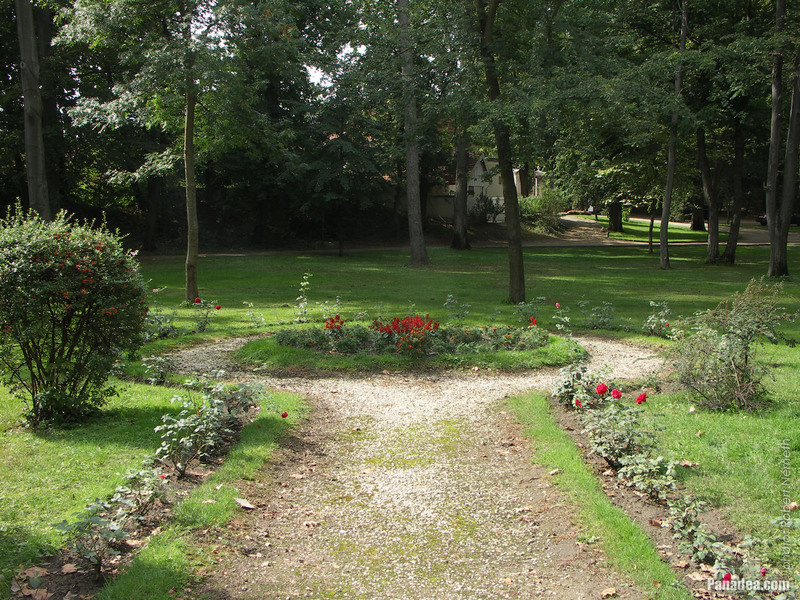 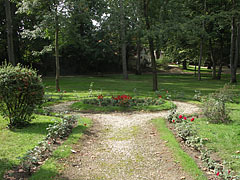 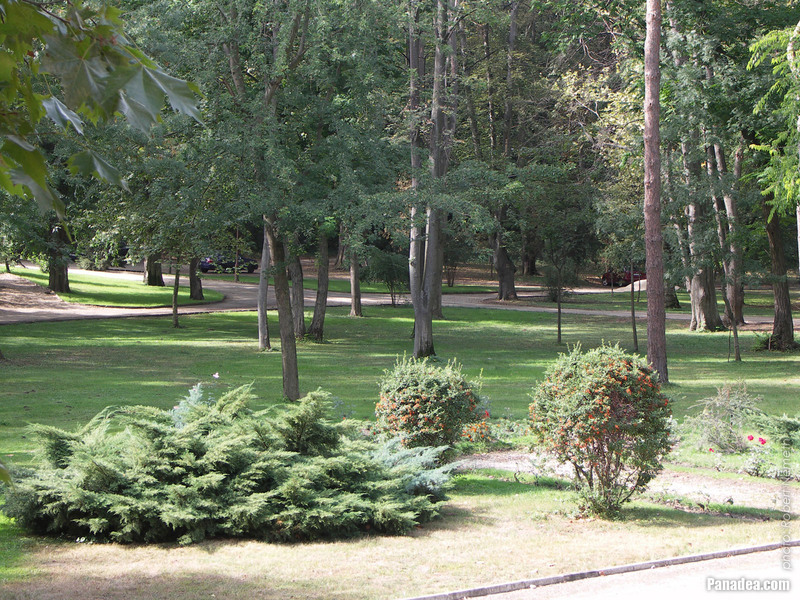 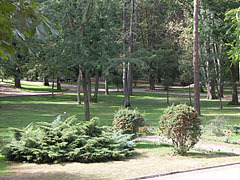 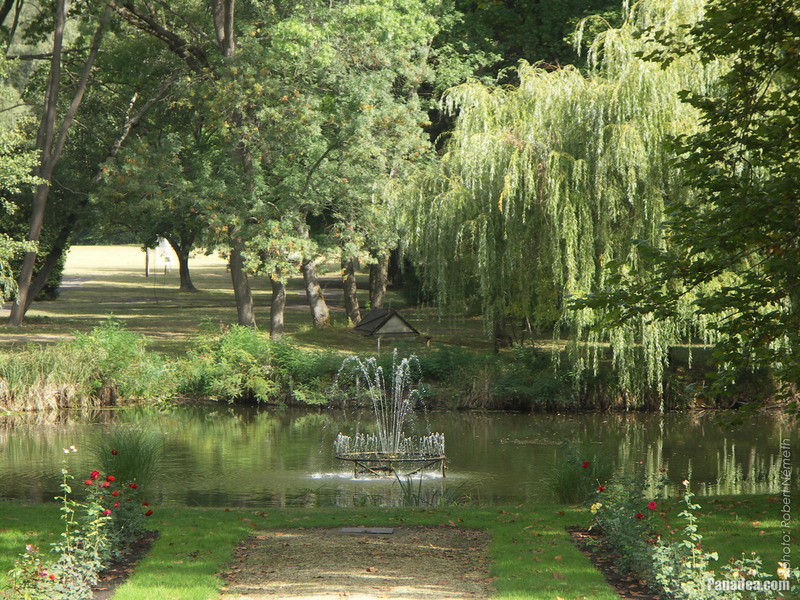 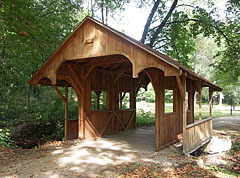 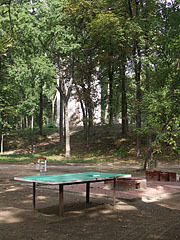 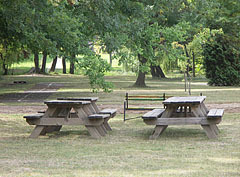 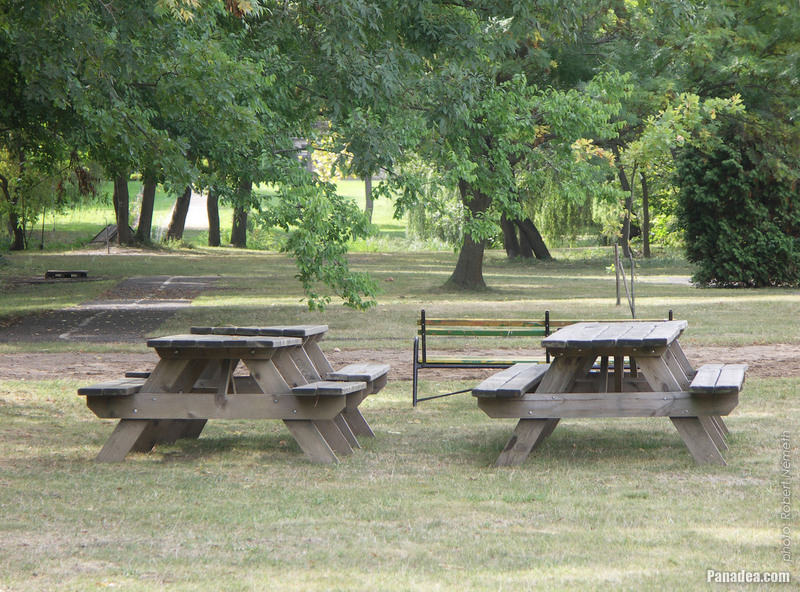 Since the 1980s the park is a nature reserve. 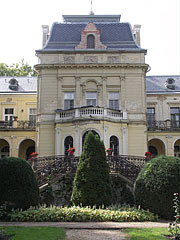 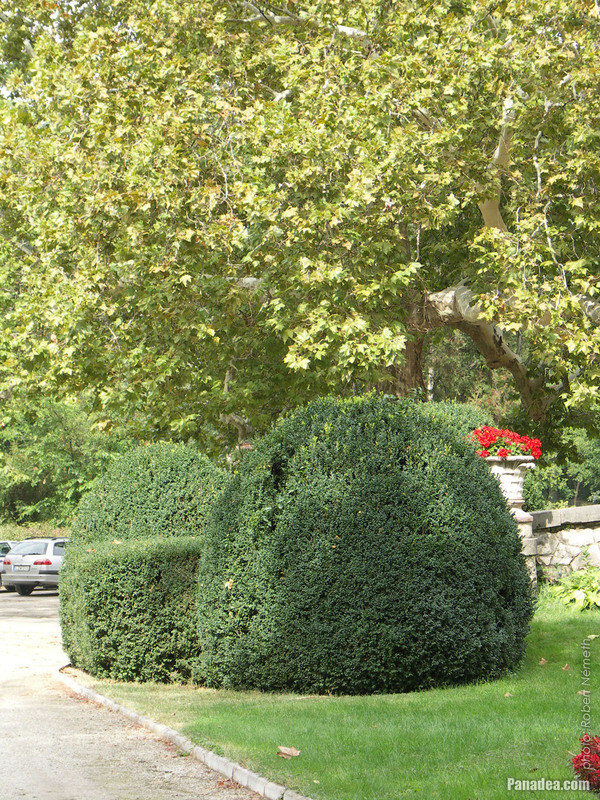 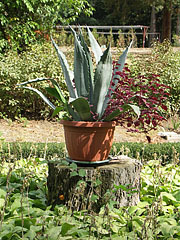 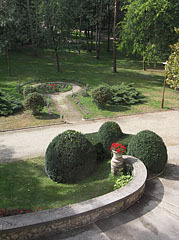 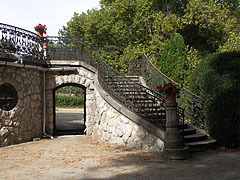 Today (since 1989) the mansion is owned by the World Of Life Hungary Foundation ("WOL Élet Szava Magyarország Alapítvány") that was established in the United States. 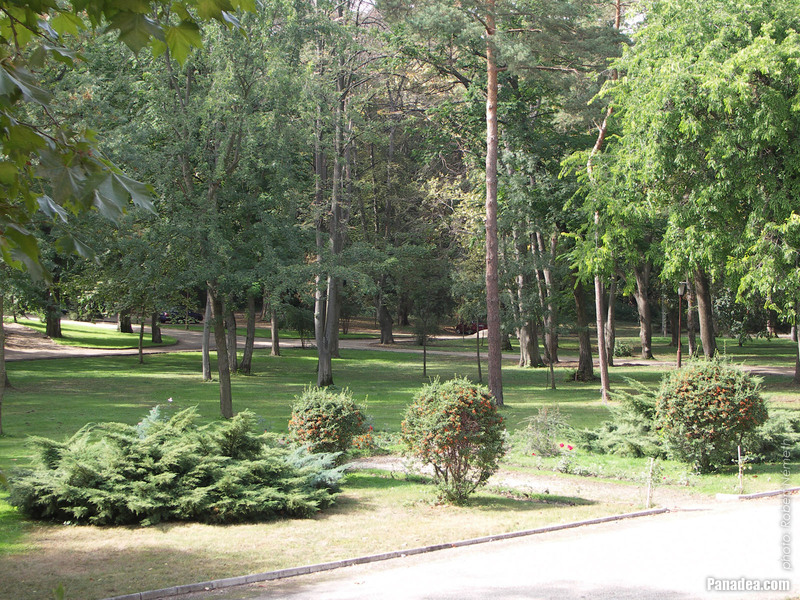 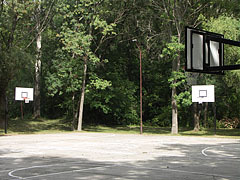 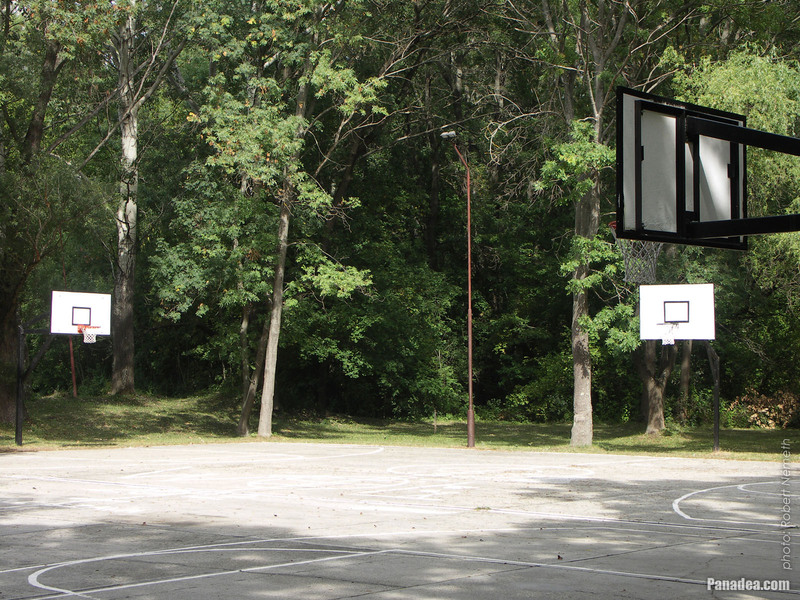 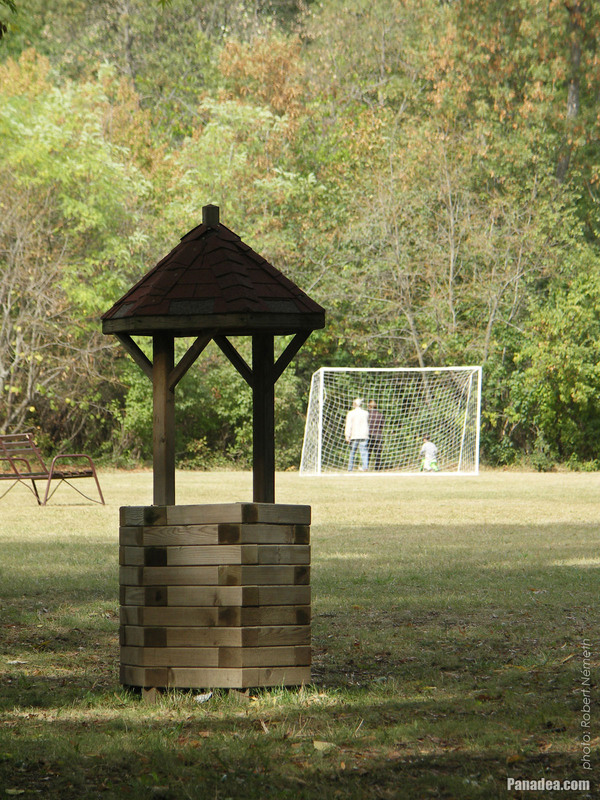 It uses the building and the park as a youth camp, Bible institute and conference center (but independently it still can be visited by the public). On the left a part of the former greenhouse also can be seen, that is undergoing renovation.